Take a 1-day culinary walk and taste your way through Ragusa as you explore the streets and narrow stairways on foot, on a guided walking and culinary tour that beings you from upper Ragusa to lower Ragusa Ibla, and includes lunch in an ancient stone cave. Taste Ragusa’s culinary specialties, such as locally produced artisanal cheese called Ragusano, to cannoli made with the freshest cow’s milk ricotta, to the best arancini in Sicily in Ragusa Ibla. Visit a 17th century water mill, where traditional varieties of Sicilian wheat, often called “ancient grains”, are stone ground as they have been for centuries. Then you get to taste the real star of Ragusa’s traditional cuisine, called “scacce” or various kinds of focaccia. 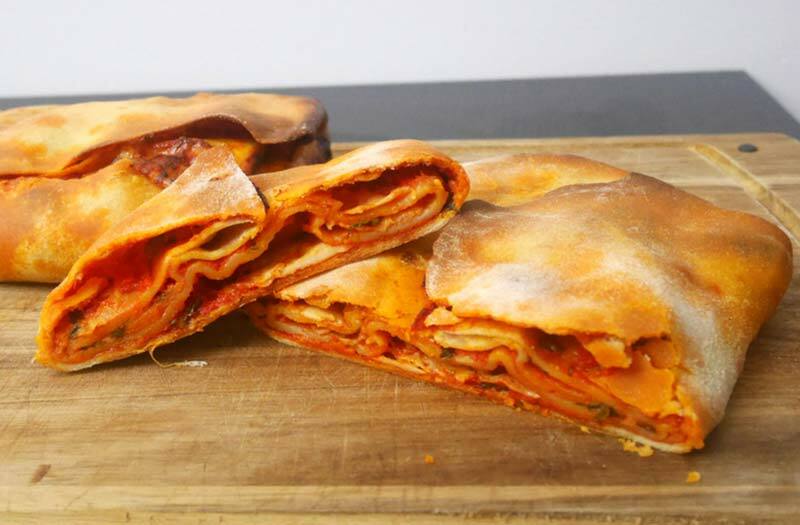 One type that is only found in Ragusa, uses a thinly rolled dough that is slathered with tomato sauce and cheese, and then folded so that it is layered before baking. Other types of “scacce” that we taste on our culinary tour of Ragusa are shaped like a half-moon, with a stuffing that is based on seasonal ingredients, such as chard, broccoli, or fava beans, often combined with olives or ricotta for added flavor. Our 1-day culinary walk in Ragusa Sicily is available for a minimum of 2 people, with special rates available for small groups. Visit our website to see this 1-day culinary walk in Ragusa, or contact us for availability or group prices. Pamper yourself with a massage or facial treatment at the Spatium Day Spa in Ragusa Ibla, or just relax in the warm spa area equipped with a Turkish bath, sauna, and hydromassage pool. Check out their wellness packages or book an invigorating massage at this well-equipped Day Spa in Ragusa Ibla, just a short walk from the Duomo. You can even book the whole space for a spa party with friends, or arrange a couples massage at Spatium Day Spa. Take in a performance at one of the lovely historic theatres in Ragusa. In Upper Ragusa near the San Giovanni church you’ll find the Piccolo Teatro della Badia, set in a former abbey. They don’t have a website, but they do have a Facebook page for Piccolo Teatro Della Badia Ragusa, and have both Italian theatre and dance performances. A visit of the beautiful little Teatro Donnafugata in the Donnafugata palazzo in Ragusa Ibla will have you stepping back in time, as this theatre was once used for private performances for the family and guests of this imposing palazzo. 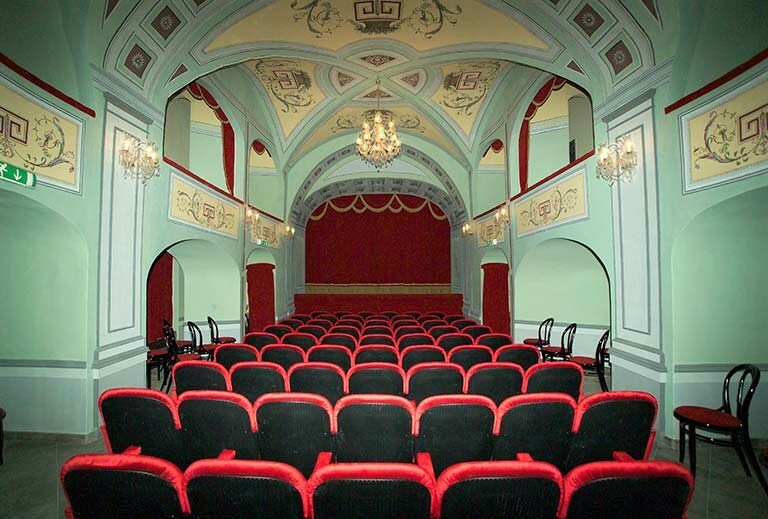 Restored in 2004, the Teatro Donnafugata offers a variety of performances including theatre in Italian, dance, classical music, and even a program for youngsters. It is also possible to rent the theatre and adjoining rooms for a meeting or festive event. Visit one of the free museums in Ragusa in the historic center of upper Ragusa. The Archeology Museum in Ragusa, (which is due to move to new headquarters some time in 2019), has local finds dating from prehistory through the Greeks and Romans, and is rarely crowded. This Museo Archeologico Ibleo is open Monday through Saturday from 9.00 – 19.30, and additionally on the first Sunday of the month. 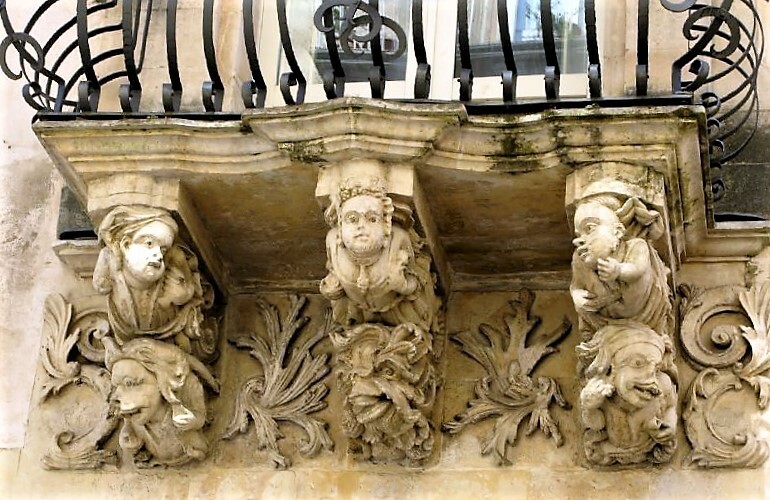 Also in the historic center of Ragusa is the Museum in the beautiful Baroque Palazzo Zacco, with its ornate carved stone balconies. The museum offers a fascinating look into the farming traditions and country life in Ragusa in the Museo del Tempo Contadino. Open every day except Sunday and Monday, 8.30 – 14.00, and 15.30-18.00. While you are there, you can also ask to visit the museum L’Italia in Africa, located 1-block up the hill. We are working on the renovation of our luxury apartment rental in Ragusa, called RagusaHome, located just steps from all these free museums in Ragusa, and can be visited with a guide if desired. Taste the best artisanal cheeses of Sicily at the Casa del Formaggio shop, also known as DiPasquale’s, after the family that has owned the shop since it was founded in 1950. Here you will find an excellent selection of artisanal cheeses of Sicily, some of which have been aged in the family’s own stone cellars. You will also find locally produced cured meats, as well as high quality products from other areas of Italy. But I suggest that you focus on the many artisanal cheeses of Sicily, beginning with Ragusano, a DOP cheese made from milk produced in the countryside of Ragusa, and available at several stages of aging, from a mild fresh version, to semi-aged, to a sharper fully aged cheese. I am partial to the semi-aged variety that combines a soft texture with a medium sharp taste. Produced only in the months from November to May when the cows are at pasture eating a variety of grasses and wild greens, Ragusano is Ragusa’s premier cheese. But don’t stop there. You might also like to taste other artisanal cheeses from Sicily, such as Canestrato Siciliano, a cow’s milk cheese that is aged in reed baskets that impart a particular taste to the cheese. 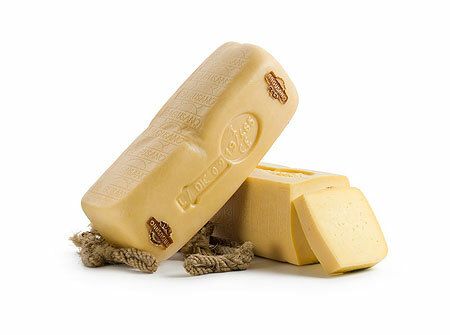 A personal favorite is Piacentinu, a sheep’s milk cheese produced near Enna, in the center of the island of Sicily. 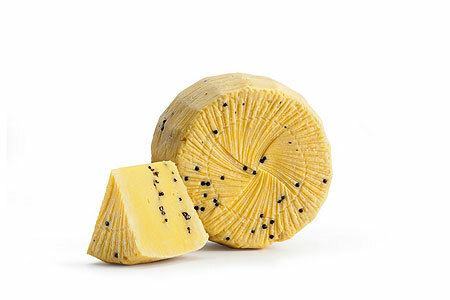 It’s yellow color comes from the addition of saffron, and it is studded with whole balck peppercorns. Known as the “antidepressant cheese” because of the 1090 legend that the Norman King Roger asked his cheesemaker to prepare something that would help combat the depression that his beloved wife Adelasia suffered from, and since saffron was considered to be an energizing antidepressant, the cheesemaker produced Piacentinu with the addition of saffron. Apparently, Adelasia perked right up, so the tradition of producing this saffron-laced artisanal cheese in Sicily continues to this day. You can also visit this shop on a 1-day guided walk and culinary tour in Ragusa with Italian Connection. Looking for a multi-day culinary or walking tour in Italy? Visit our website to see all our itineraries for walking tours of Italy and culinary tours of Sicily.